Committed to the supporting and building in the community we serve. At Entrec, we strive to help and improve the communities where we work and live – it’s one of our core values. Not only are we, as an organisation, happy to support local events and contribute to worthwhile causes, we are also proud that many of our employees are actively involved in charitable groups as well. 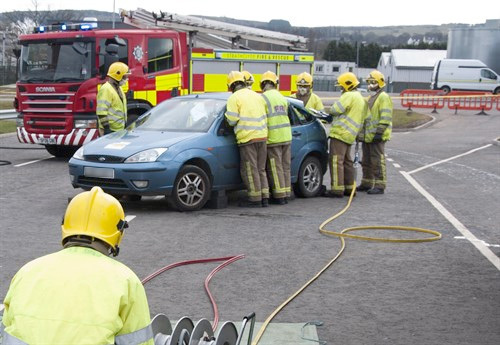 Working in partnership with the North Wales Fire and Rescue Service, the fire department train on old scrap cars that you bring to us. To ensure that we can continue to provide this service to the North Wales Fire and Rescue Service, we need your old vehicles. If car recycling is something that you are planning on, choose Entrec for responsible recycling.